-YOGA will be by 24-hr RSVP only! Email Bre@BlueOxBox.com if you’d like to save a spot! 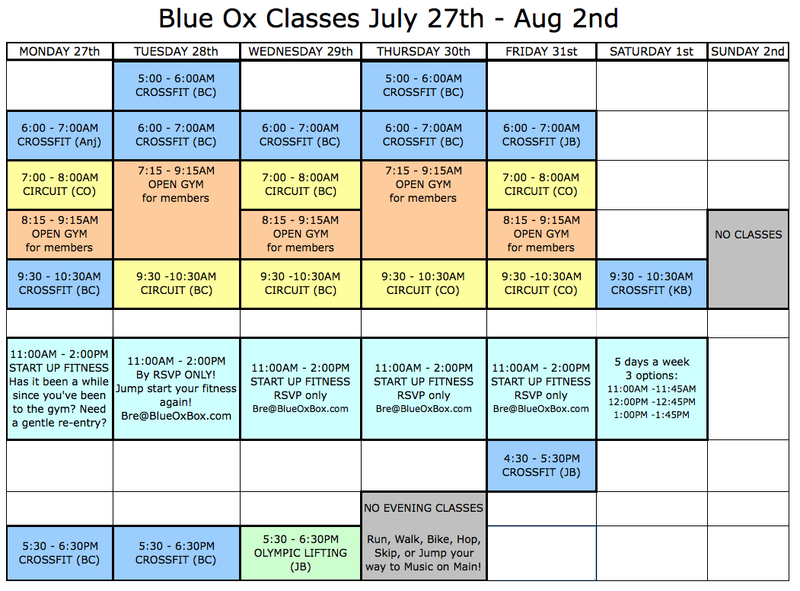 -ONLY 9:30AM CrossFit on Saturday, August 1st! -We have limited childcare available. Email Bre@BlueOxBox.com if you’d like to reserve!